Is Heavy Rain better with Move support? 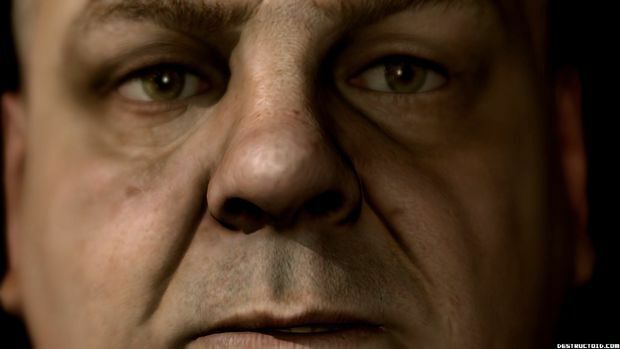 Quantic Dream's David Cage recently revealed that plans for previously announced downloadable content for Heavy Rain had been put on hold. The reason? It seems Sony was more interested in the developer working to create a patch that would allow the title to be playable with its upcoming Move motion controller. I've already played Heavy Rain with a DualShock 3 controller, the gameplay a series of on-screen button prompts that did their best to mimic in-game actions. Swing the analog stick down and around in a half circle to pick up a cup, for instance, or sit down by using an opposing but similar motion. The results were mixed, the game's narrative arguably more engaging than the actual gameplay. Originally designed with a motion controller in mind, does Heavy Rain benefit from the use of Sony's Move? 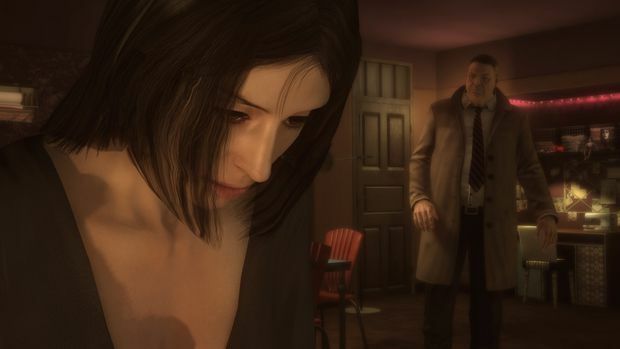 The question, for me, was answered when I had a chance to go hands on with a recent demo of Heavy Rain using move. Heavy Rain with Move can be played with with two configurations -- a Move "wand" in one hand and a navigation controller in the other, or holding the DualShock 3 (a bit awkwardly) in one hand and the Move controller in the other. I chose the former, although I was given the option to do either, to get the "true" Move experience. I had the opportunity to play two of the game's earliest scenes, both being the first time we meet two of the game's main characters, detective Scott Shelby and reporter Madison Paige. The Shelby scene should be familiar to anyone who's played the game. The private eye is investigating the Origami Killer case, which leads him to a shady motel where he questions one of the victim's parents, a call girl named Lauren Winter. This particular scene, like most in Heavy Rain, can be broken down into a list of interactive actions. In this case, a few examples would be using an inhaler, knocking on a door, reaching out to keep a door from being slammed in your face, and a slew of offensive and defensive moves in a brawl. Playing Heavy Rain with Move is not entirely unlike playing it with a standard control, with context sensitive action prompts appearing on the screen. In the case of using Move, you press down the Move button with your thumb, and then perform an approximation of the action you see on the screen. What I saw wasn't really that different than those that appeared in non-Move game -- move your arm left, move your arm up and left, etc. A few were multiple move actions, with the first prompt asking you to raise the remote and then, once it was registered, swing back down, left, right, etc. There were plenty of "shaking" actions, as well -- to use Shelby's inhaler, for instance, you'd lift the Move control and then "shake" as if you were using the medicine in real life. So is this any more effective or engaging than using a standard controller? I didn't think it would be, but I must admit that my answer, based on the 10 or 15 minutes of game I played, is "yes." The actions aren't one-to-one -- the game still waits for the input before reacting -- but the actions certainly make you feel more involved than simply pressing buttons on a control pad. This was particularly noticeable in some of the high intensity scenes, like when Shelby fights the biker or Madison fights off attackers in a dream sequence. The on-screen actions are already getting your heart racing, and it's likely that (depending on how "into it" you get) the Move actions will help get it moving a bit faster. The takeaway? I wish I had played Heavy Rain with Move the first time around. Because while the experience was more absorbing, I'm not sure it's enough to get me to play through the game's story (or stories, as the case may be) again. From what I'm told, Quantic Dream isn't adding any additional content beyond Move support. But if you haven't played Heavy Rain yet, I urge you to hold off a bit -- the game will receive the update for Move support when the controller ships this fall.